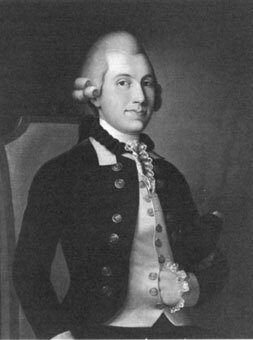 On this date in 1790, Scandinavian aristocrat Johan Henrik Hästesko had his head lopped off in Stockholm for his part in the Anjala mutiny. Named for the town in southern Finland where the conspiracy was cemented, the Anjala mutiny was a bid by disgruntled officers to roll back Swedish King Gustav III‘s ill-conceived* Russian War. Dissatisfaction worked on multiple planes: nobles were angry at Gustav’s circumventing aristocratic prerogatives (both to launch this war, and elsewhere); those with Finnish estates were especially piqued at the prospect of bearing the burdens of a war and a possible Russian occupation. The Anjala conspirators pitched Russian Empress Catherine the Great on the prospect of making peace on their authority and withdrawing Finland from Gustav’s control. Catherine demurred, and enough of the army stayed loyal to the crown that the conspiracy collapsed. While other principals blew town, Hastesko (sketchy Swedish Wikipedia entry | much more detailed English bio on The Sword & The Sea) stuck around to face the music. Product of an old Swedish-Finnish noble lineage, he might well have expected leniency: for all his executive overreach, Gustav III wasn’t the wholesale-execution type. And indeed, Hastesko was the only conspirator to visit the scaffold. Cold comfort both to the condemned and to his widow Beata, the latter of whom wore mourning clothes for the remaining 51 years of her life. But she would see in her time the wheel of fortune turn for her late husband’s defeated project quite dramatically. This particular Russo-Swedish War ultimately amounted to a tempest in a teapot, but not long after it blew over, another tetchy noble assassinated Gustav III. In 1809, another war between Sweden and Russia did in fact result in Finnish quasi-independence. * Completely engineered by the Swedish side, the war began with a false flag operation consisting of a staged “attack” by Swedes in Russian uniforms.